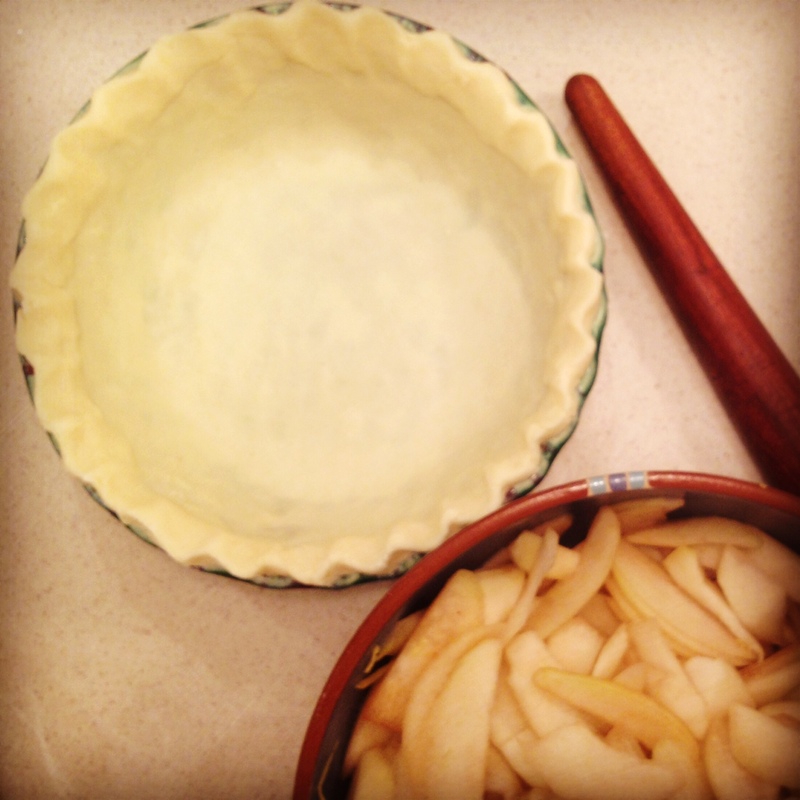 PHOTO SPECIAL: Pie Tip #16 from Karen, Pie Maker Extraordinaire– Lattice Crust! Hello, pie lovers! As the humble pie-maker behind each of Practical Art’s Charity Pie Nights, sometimes I’m able to finagle my sister and Practical Art’s co-owner, Lisa Olson, into venturing into my kitchen and capturing the process with her fancy photo equipment. I certainly felt like photo illustrations on the makings of a lattice crust could go further than just a text description. It’s like dough origami! 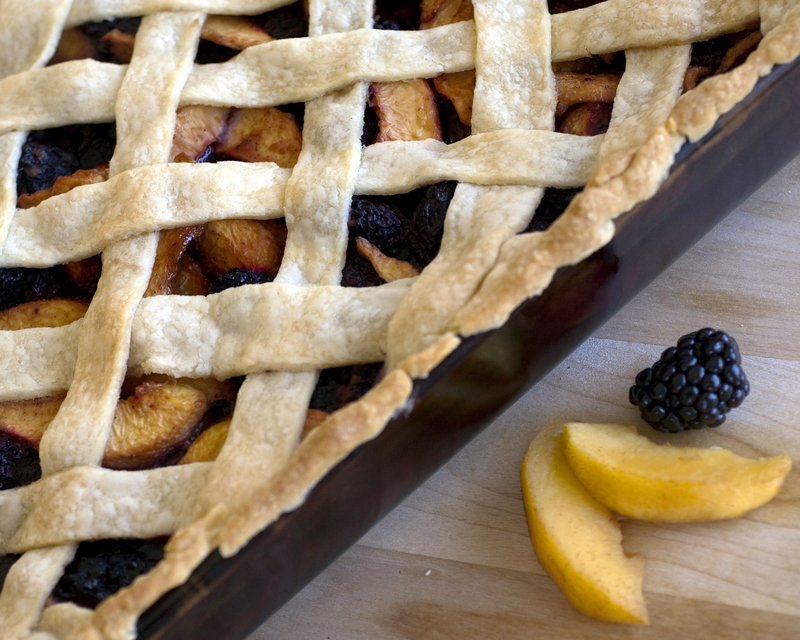 A lattice crust is all about following a pattern. In some ways it is similar to knitting, though I don’t actually knit myself, but I think the comparison works! First, roll out pie dough as done for the bottom crust. Then take a knife or a fancy design tool to make the edges pretty, and cut straight strips (or as straight as possible). The great thing about home made lattice crust is the ability to see the imperfections! Now here, there is a cheat way, and there is the real way…. so choose wisely. You can *choose* to alternate strips vertical and horizontal till the pie is completed. Note here however that while most of your strips will be over and under pattern, not ALL will. In order to get them all over under patterned, I find I like to work from the inside out. I start with my two largest strips in the middle, then do to strips at a time, alternating my patterns from vertical to horizontal. This allows me to follow the pattern with ease because of the repetition, and I *think* it makes for the least amount of times required to fold back dough strips (which I like because the less you have to fiddle with your dough, the more flaky and delicious it will be!). Now, try out the lattice for yourself and see if you like to work in to out, out to in, or any style in between! And if anything at all was even a smidge unclear, OR you’d just like to see one with your own eyes…. maybe taaaaste one…. come see us tonight for this month’s Charity Pie Night. All donations benefit the CO+HOOTS Foundation! Starts at 7pm! Posted on September 26, 2014 January 3, 2015 Categories Pie BlogTags arizona, artisan, az, baker, baking advice, charity, charity pie night, chef, good cause, homemade, Karen Olson, lattice crust, phoenix, pie, pie advice, pie social, Practical Art, recipe, Vonceils piesLeave a comment on PHOTO SPECIAL: Pie Tip #16 from Karen, Pie Maker Extraordinaire– Lattice Crust! 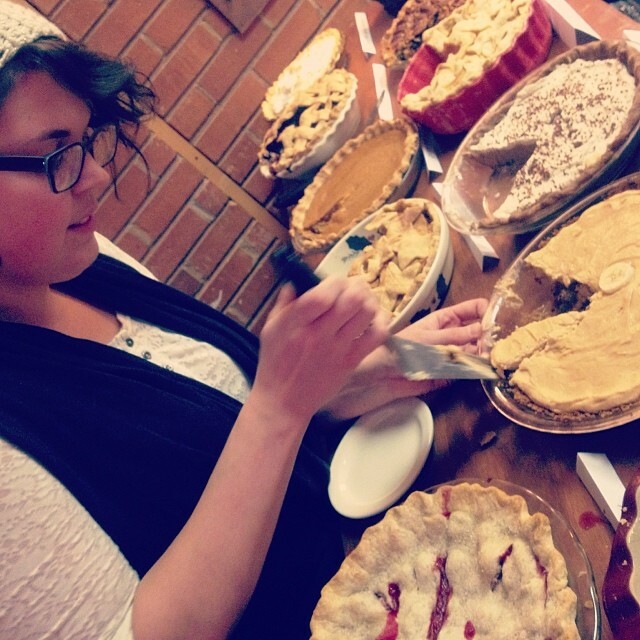 If you’ve been to one of Practical Art’s Charity Pie Nights, which happens every Fourth Friday (psst…tonight! 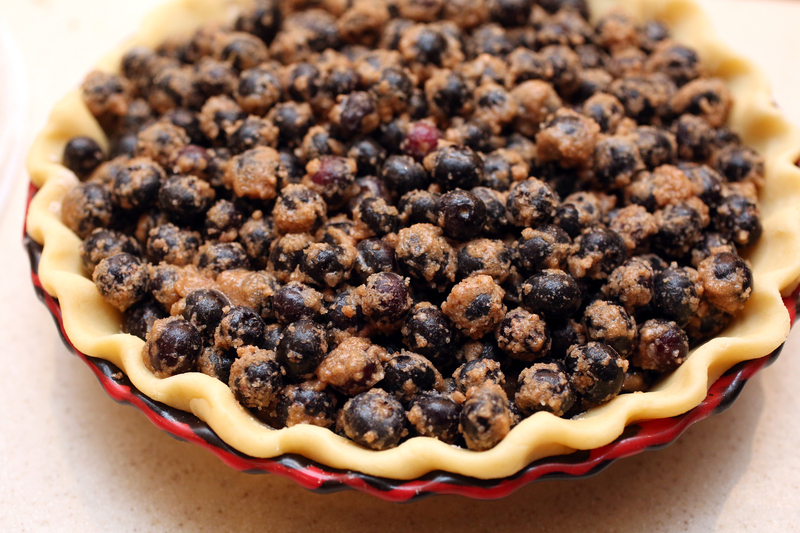 ), you may have had some of the best pie you’ve ever experienced. If you then tried to elbow through the crowds to get back up to pie-maker extraordinaire and owner of Vonceil’s Pies, Karen Olson, to quiz her about all the magic that goes into these wonderful creations– you probably found so much activity at the pie counter that conversation was a little tough. So, we’ve asked Karen to answer some of her most often received inquiries about her and her craft to allay everyone’s burning questions. Question: What is your favorite pie? Q: Where do your recipes come from? A: Back when I started baking in dark ages (just kidding … some days), I would look up recipes either in my mother’s cook books or online, and copy them to the exact measurement. Over time, I still search the internet and cook books often, but it is more often to get inspiration than anything else. Recipes can seem to get stale when made over and over, therefore it is fun to get a fresh flavor pairing, or to see if you can remove entire ingredients but get similar results! Some day, maybe I will even start writing my own “recipes” down! A: I love to bake. It is a plain and simple fact about me. 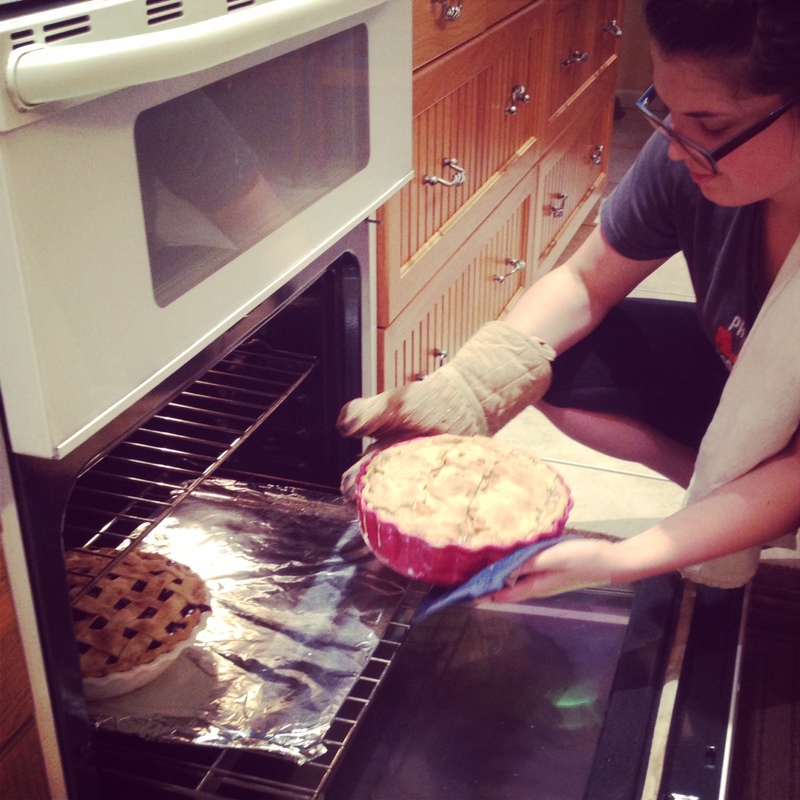 The reason why I gravitated towards pie baking is the amount of time that goes into it. I like the idea that there is a period of prep, but then an even longer period of rest before you get your reward. It is a fast paced life, which makes it nice to slow down, even if just for an hour. A: Vonceil is one amazing woman. She is my mother’s mother, and if not for her, my own mother, and my great grandmother, I would not bake crust the way I do today. The funny fact about my Grandma Vonceil is that her own mother did not actually teach her how to make crust. It skipped a generation to my mother, who then taught me! Now don’t get me wrong here, Vonceil knows her way perfectly well around the kitchen! But the thing I love most about her besides the fact that she is my grandmother is her indirect influence on my baking. Hope you enjoyed that little peek into Karen’s world o’ pie, and we also hope to see you for tonight’s Charity Pie Night— Friday, August 22nd, from 7-9pm. All donations, and 10% of all sales from the day, will be donated to ADLA. ‘Tis the last full week o’ the month, which means…. Friday is A Share of the Pie: Charity Pie Night! 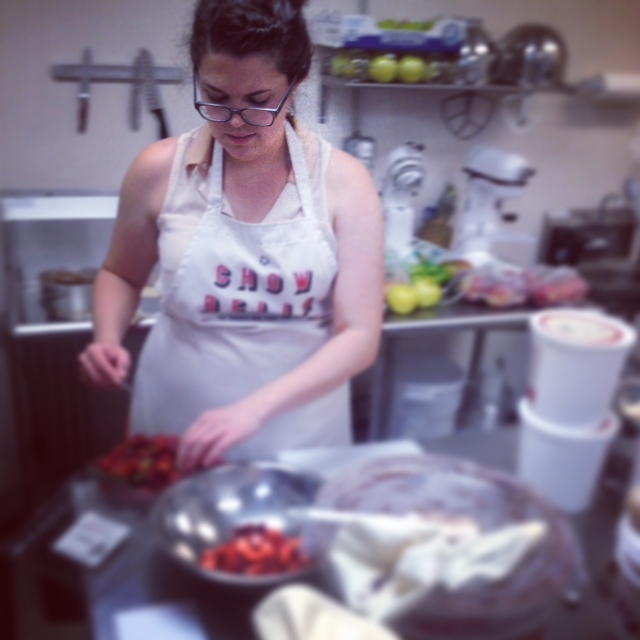 And this month, Karen Olson (you know her, you love her) of Vonceil’s Pies, is whipping up a dozen-or-so lovingly-crafted artisan pies to garner your green in support of Rising Youth Theatre. Did you catch all the buzz about A View From the Tracks: The Light Rail Plays last month? That was RYT. They paired young artists one-on-one with professional artists to create 5 minute, 2 person plays. This unique opportunity for mentorship and artmaking hasn’t existed anywhere else! And, as both a metro-advocate AND a big fan of interventionist art (the surprise kind? that sneaks up on folks during their typical day?)…. I was hugely excited by this program. Essentially, RYT’s mission is to ‘create youth driven theatre that is riveting and relevant, challenging audiences to hear new stories, start conversations and participate in their communities‘. 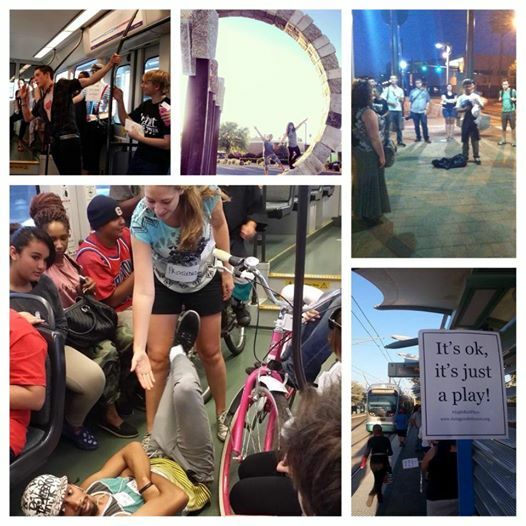 Besides their most recent light rail performances, they also regularly conduct staged plays and workshops. A Theater of the Oppressed workshop they hosted last year explored the four categories of physical de-specialization through games and exercises. It encouraged the audience to take part in a problem-solving dialogue about overcoming injustice. This is theater with meaning, theater with impact. “When you come into the theater, you have to be willing to say, ‘We’re all here to undergo a communion, to find out what the hell is going on in this world.’ If you’re not willing to say that, what you get is entertainment instead of art, and poor entertainment at that.” – David Mamet. And considering the radical potential of youth, who better to find out from– not only what is going on right now in this world, but just where the heck it might go. Come by Friday to hear from Rising Youth Theatre members first-hand. Guess what today is?! 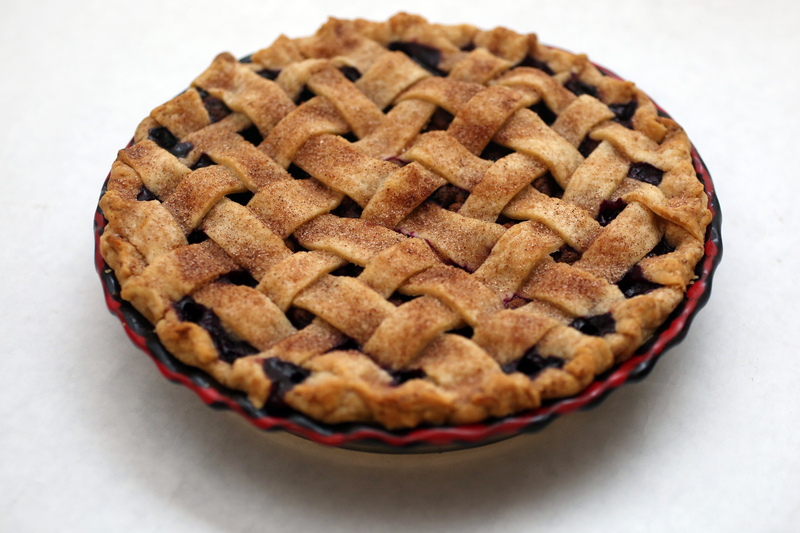 Friday, yes, for sure, but more importantly….it’s PIE DAY! Come by Practical Art tonight for our monthly Charity Pie Night from 7-9pm, this month benefiting Phoenix Art Museum, and feast on one of Vonceil’s Pie’s delectable creations. To get you in the mood, and because she’s generous enough to share her artisan-worldly wisdoms, Karen’s penned her monthly pie tip! Read on! 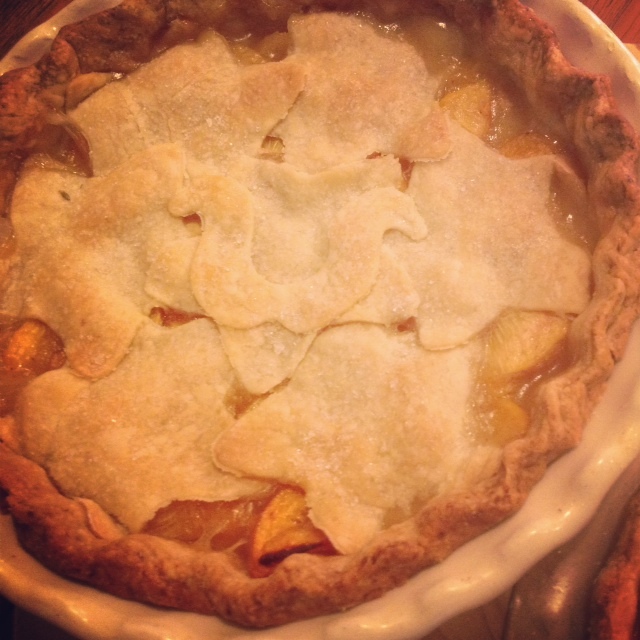 It will come as no real surprise to most people who know me, but I talk about pie. A lot. What I have found over the years in my numerous conversations revolving around dessert is that there is a certain shared pride that comes from making homemade pie crust. It is a badge of honor to say, “I make my crust from scratch”. Today, and for however long this blog may grace the inter-web, I would like to share that badge with you. This is my basic crust recipe: use it, change it, love it or hate it, but carry it forth into your kitchens with my blessing. Combine flour and salt in medium mixing bowl. Either cut up the CHILLED butter into small cubes, or grate into flour mixture. Combine with either pastry mixer or hands, until butter and flour mixture becomes like sand in texture, between one to two minutes. Add water, one tablespoon at a time, mixing with a fork until mixture is almost sticking together. Gather dough in hands and press together minimally. Flour countertop or use parchment paper to roll out dough. Use a pie plate for a reference to make sure dough will cover entire surface. Be sure dough will over cover the edge of the pie so that there is plenty of crust to crimp around the edge of the dish. If using parchment paper, easily transfer dough over the pie plate and remove paper. If rolling dough out on the countertop, gently fold dough in half onto itself, and then again, transfer into the pie dish, and then unfold into the pan. Now all that is left to do is decide what kind of filling to stuff that beautiful crust with! Once you have decided, either pre-bake the crust for cream pies, or fill it with fruit, cover it with a top crust, sit back and let the oven do the rest! And, as always, come by, make a donation, and taste supporting evidence for this tried and true recipe! The proof is in the pie crust! It’s good pie for a good cause, and we promise, you’ll have a good time.